Take a look at some of the best news photos around the world on Dec. 24. 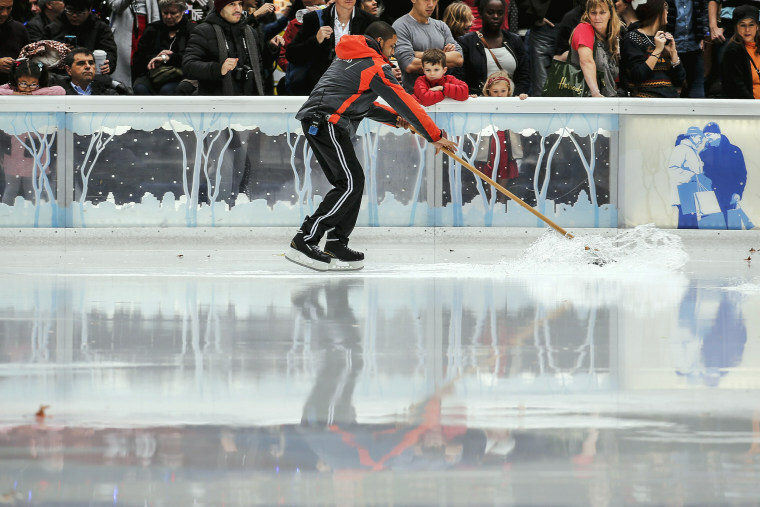 A worker pushes water off the surface of the skating rink in Bryant Park during unseasonably warm weather in Manhattan, New York. 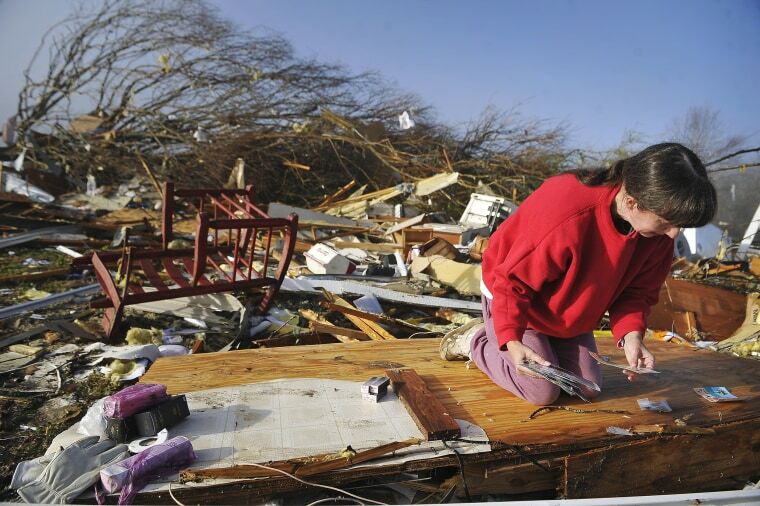 Diana Davis looks for family photos after a tornado tore through Wednesday, as she sifts through the rubble of her father-in-law's home in Lutts, Tenn.
Josh Redmyer, a former Marine who served three tours in Iraq, poses with Milo, who he calls his "therapy dog," in Oroville, Calif. on Dec. 17, 2015. Redmyer, who was diagnosed with post-traumatic stress disorder in 2009, received a less-than-honorable discharge in 2012. 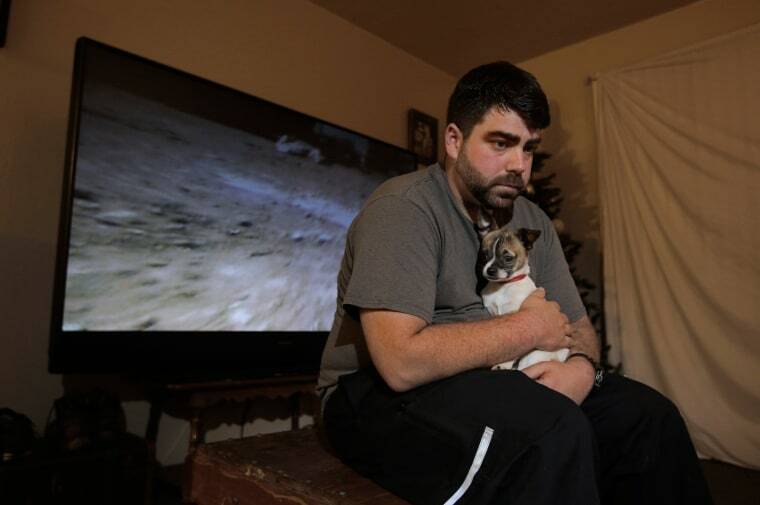 He is among the thousands of veterans who cannot receive veterans’ health benefits because of a less-than-honorable discharge. Redmyer turns to Milo, who is a birthday present from his roommate, when he becomes despondent. 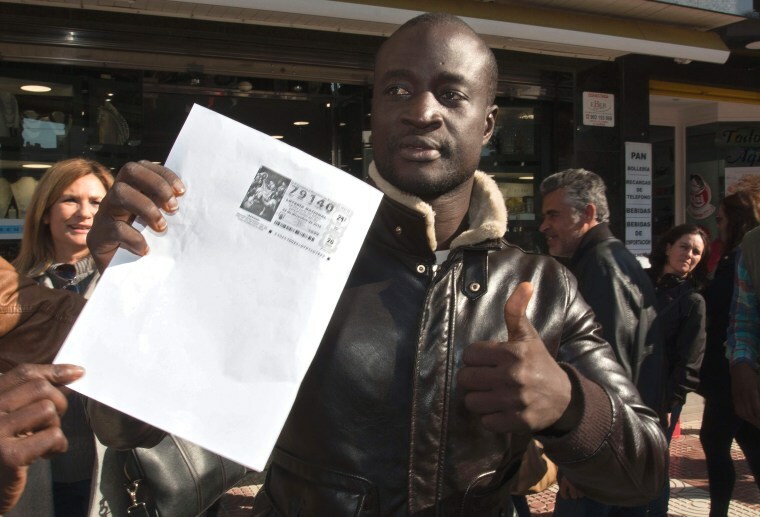 Ngame, originally from Senegal, thumbs up as he holds a photocopy of a winning lottery ticket of the Spanish Christmas' lottery draw on Dec. 22, 2015 in Roquetas de Mar, Spain. Local media reported that an unemployed Senegalese man named Ngame who was rescued by the Spanish coastguard after making a risky journey from Morocco eight years ago on a packed wooden boat, won 400,000 euros ($437,000) in Spain's annual Christmas lottery draw. 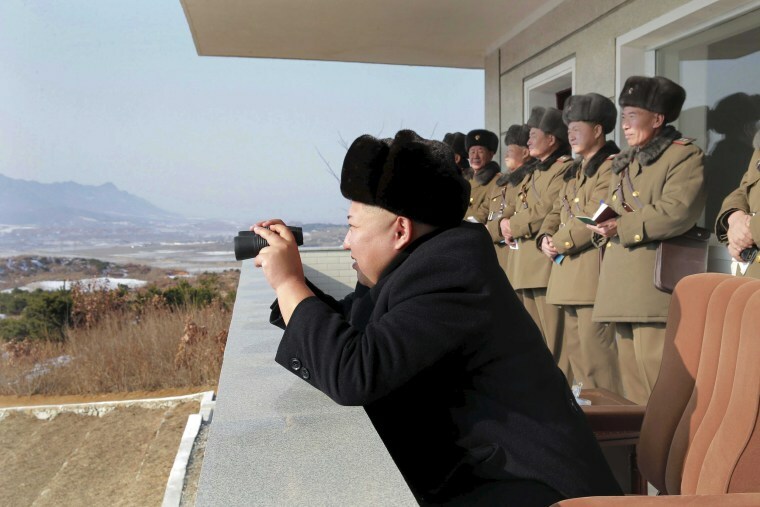 North Korean leader Kim Jong-un watches maneuvers between KPA large combined units 526 and 671 at a undisclosed location. Photo was made available on Dec. 24. An armed police officer from the Snow Leopard Commando Unit stands guard next to a police van at the Sanlitun area, a fashionable location for shopping and dining, in Beijing, China. 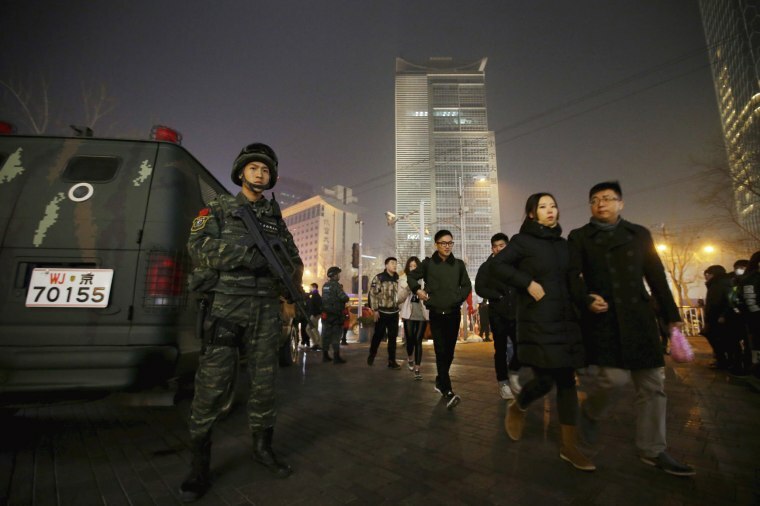 At least four Western countries took the unusual step on Thursday of issuing Christmas security warnings for Westerners in the popular Beijing diplomatic and entertainment district as police stepped up patrols. 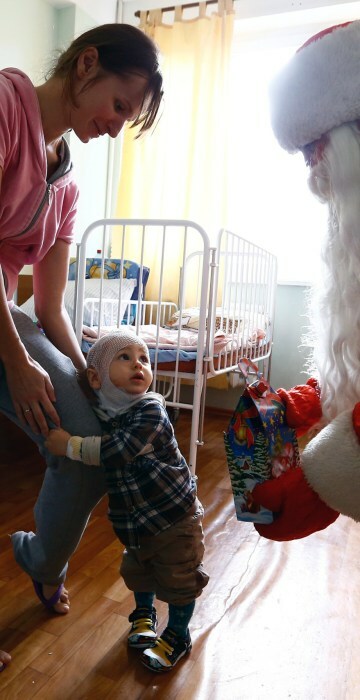 A man dressed as Father Frost, equivalent of Santa Claus, gives a present to a boy on Christmas Eve in a burn unit of a hospital in Minsk, Belarus. 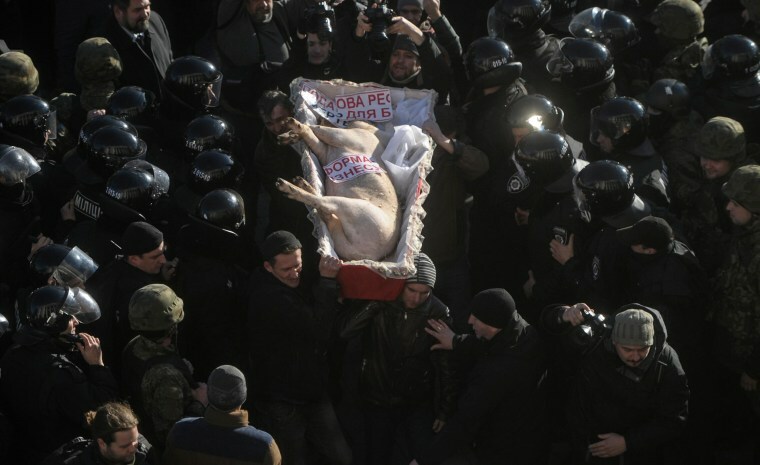 Farmers and their supporters carry a coffin with a pig inside, while walking through the lines of law enforcement officers during a protest against possible changes in the budget and tax regulations in the agricultural sector, outside the parliament headquarters in Kiev, Ukraine. 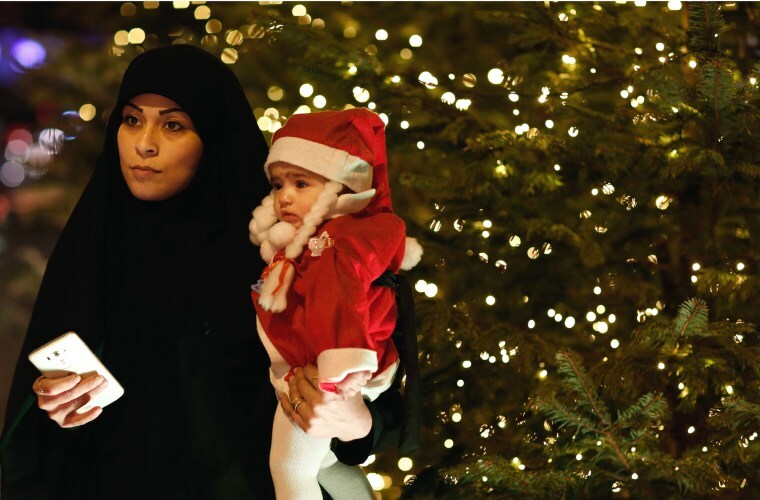 A Lebanese Shiite woman waits with her daughter to take a picture with Santa Claus in front a Christmas tree in downtown Beirut, Lebanon. A full moon rises over the traditional Norwegian Christmas tree in London's Trafalgar Square in England. 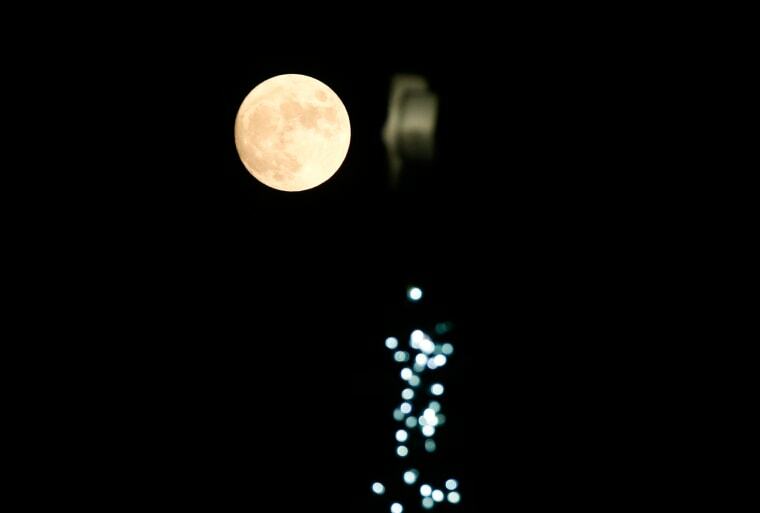 Not since 1977 has a full moon dawned in the skies on Christmas.